Got a flat tyre? We can help you replace it or tow to the nearest tyre shop - at any time of the day! Run out of fuel? We can be there in a flash to fill you up and get you moving again in a hurry. Battery playing up? We can be there ASAP to jump start your vehicle and get you on the road again. Stuck Roadside? We Can Help! Fast Sydney Towing is a great company choice for anyone who is in need of superior roadside assistance in Sydney. When you need dependable roadside assistance or towing service, we can take care of you. Life is too short to spend suffering waiting around seemingly endlessly for roadside assistance. That's why the only thing you can do is turn to the most efficient and reliable professionals around. These are the people who make up our staff. If you want to reap the benefits of the speediest and most responsive roadside assistance in Sydney, calling our business is the right way to get back on the road sooner. Fast Sydney Towing can help you with all types of roadside needs. 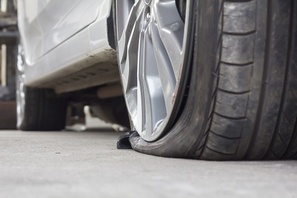 If you have a flat tyre that's preventing you from being able to drive, we can aid you. We can aid you with jump starts and fuel recovery, too. Running out of fuel while you're driving is not the end of the world when our company is on hand to save you. When you need the finest, most punctual and most knowledgeable roadside assistance Sydney, our help is just a brief phone call away! Call us at Fast Sydney Towing today to request an appointment for our expert care and attention. ​A flat tyre can be a real downer. 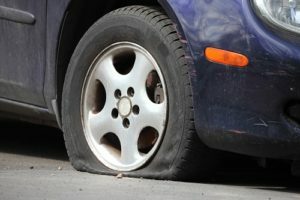 If you have a flat due to driving directly over a nail or anything else, it can truly put a damper on your mood. The great news is that we're always available to help you manage your flat tyre woes. It doesn't matter if you have a flat at midnight or in the middle of the afternoon. We can assist you whether you have a spare tyre or not. If you have an extra tyre on hand but need help changing it, you can turn to us with confidence. We'll first change your tyre. We'll then help you make your way to a reputable tyre shop that's in the area. Call us at Fast Sydney Towing as soon as possible to request our speedy, organised and dependable flat tyre service. Don't forget that our flat tyre assistance is accessible to you at all hours of the day without fail! Our company also specialises in jump starts. Battery issues can make drivers feel uneasy, anxious and panicked. If your battery is acting up, you may require a jump start. That's where our company comes in handy. If you're looking for fast and reliable jump start assistance in Sydney, calling us at Fast Sydney Towing is your first port of call. 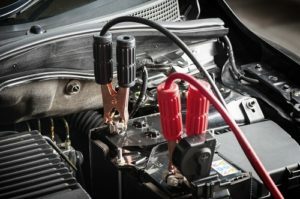 Our experts will carefully assess your battery and determine if it simply needs a jump. If your battery requires full replacement, they'll let you know. Our goal is to help drivers navigate tricky battery situations as smoothly and easily as possible. If you're tired of seeing drivers around you ignore your request for a jump start, our company can help you feel relief. We provide Sydney locals with access to the most efficient and prompt jump starts around. We're happy to help customers with battery issues large and small. Call us today to receive further details regarding our helpful and convenient jump start assistance in Sydney! Fast Sydney Towing specialises in helpful fuel recovery roadside assistance. 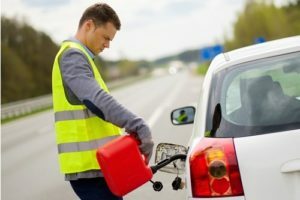 If your car has somehow managed to run out of fuel completely, you don't have to worry. That's because Fast Sydney Towing is available to offer you the finest fuel recovery assistance in the city and beyond. Our staff members can fill your tank and have you back driving again in no time. It's as simple as that. We'll show up at your requested location on the side of the road and give you all the fuel you need to get back behind the wheel and on your merry way. Our tow truck drivers are affable and polite professionals. They make our customers feel relaxed and at ease. That's why so many people all over Sydney enjoy depending on our company so much. If you're ever in need of inexpensive, efficient, fast and dependable assistance in Sydney, you should call us at Fast Sydney Towing without thinking twice. Our service is a rare combination of reliable and inexpensive.